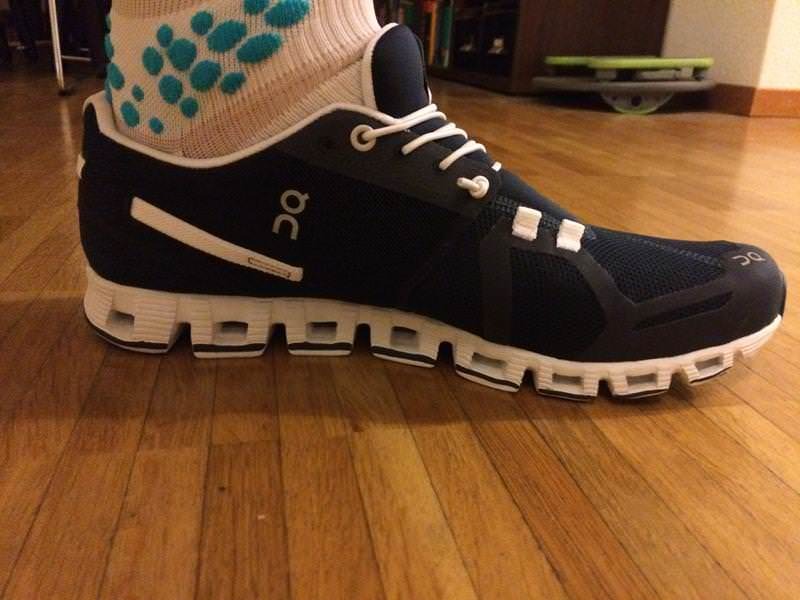 Very comfortable upper that feels like a sock. Ultralight weight make them great for racing. The mesh on the upper needs to be reenforced. 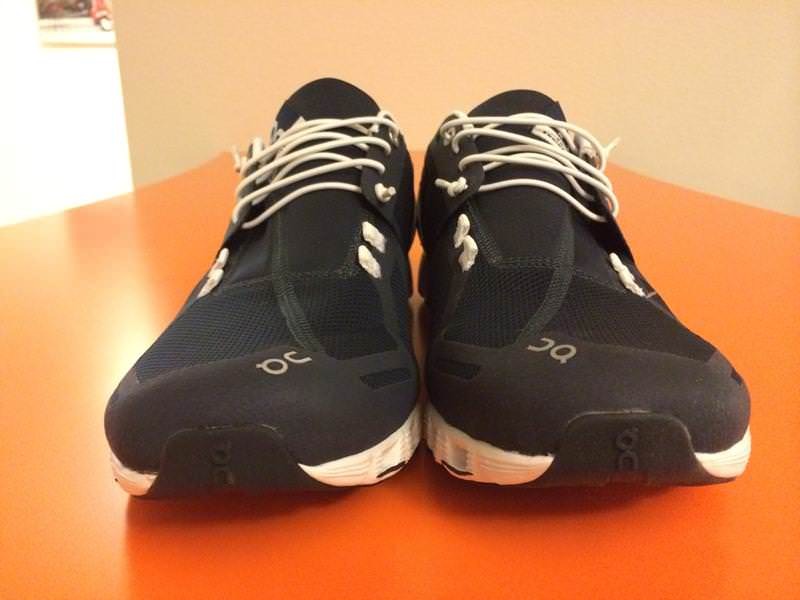 This is On’s best fitting and lightest shoe to date and it’s fast. 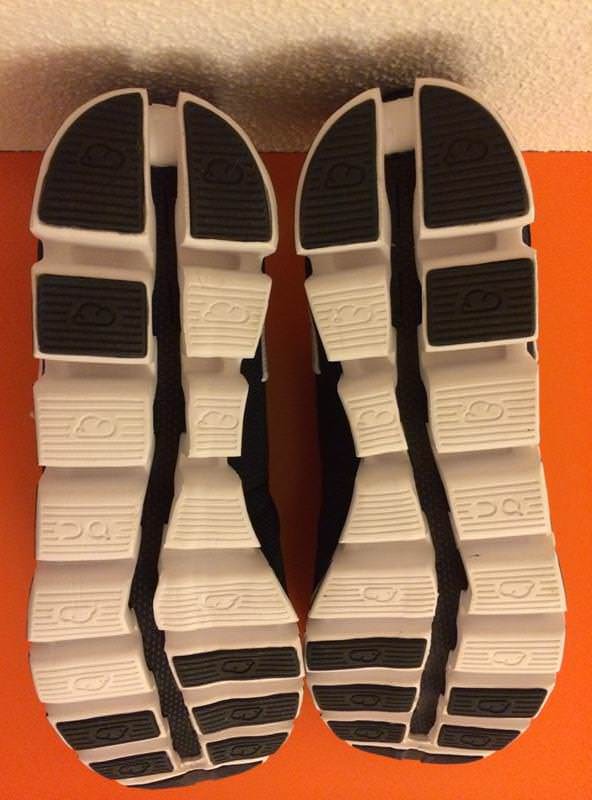 Some areas still need improvement like the material stability of the uppers to accommodate wider feet. 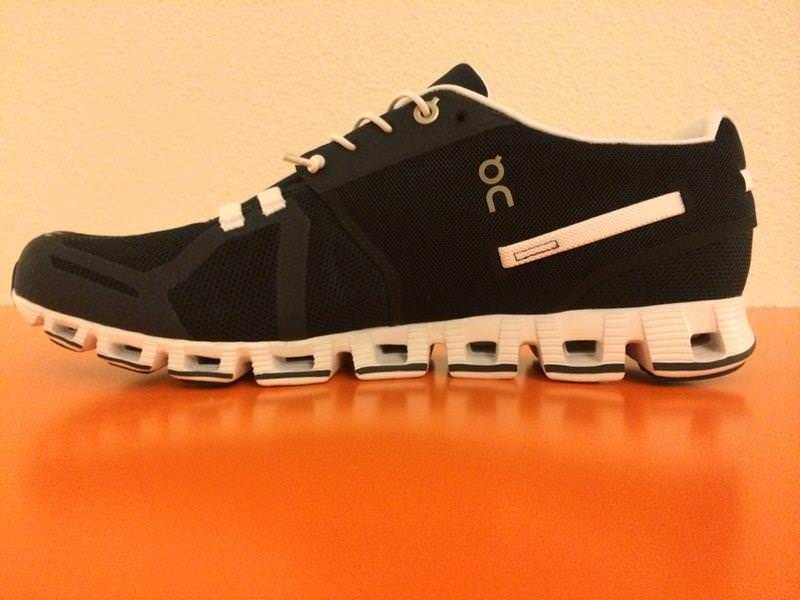 Runners looking for an ultralight, yet well cushioned and stylish running shoe. With the Cloud On has release it’s most street styled shoe to date. That said, it is still very much a performance shoe that meets the ultralight segment of the shoes already in the young company’s portfolio. Moving away from the rounded ringlets and to the the Zero Gravity Foam, the sole still offers the light landing feeling those familiar with the company’s shoes have come to expect. The Clouds are definitely a new class of shoe for On. The sole unit is constructed of the new Zero Gravity Foam, which is ultra light and ultra soft. For this reason the outer heel and the inner toes have a second harder component to help ensure longevity. As with most of On’s soles they are cut quite narrow, and the Clouds are somewhat narrower than the other models, so definitely try them on before you buy them. I needed to get a size larger. Running down the middle of the shoe is a central channel that allows the individual Cloud Tech components to react and move separately to best meet your running style. Between the outer sole and the shoe is the Speedboard, a technology that the company started using last year in its Cloudrunners. The Speedboard is a matrix weave of plastic that adds rigidity to the sole and helps with energy transfer by returning potential energy that would otherwise be lost if the sole were allowed to fully flex. Between the ultra soft and light foam sole and the Speedboard these shoes provide a totally fun ride. I say fun, because as soon as you head out you’ll notice that your lifting your knees higher than usual and landing as soft as a feather. This comes together and equates to more speed, and this is fun. As I’ve already written above the uppers are fantastically comfortable like those of the Salomon S-Labs. The added advantage is that there is no need to lace them thanks to the elastic lace that conforms to the foot. If this does not appeal to you though, there is always the opportunity to use regular laces, which are also included with the shoes. The upper on the top of the foot is a light mesh that is reenforced with bands that simulate a foot taping. The tongue is also completely closed for a sock like fit. Around the base of the foot and around the heel is a cotton fabric that helps with reenforcement. Despite the stylish and casual look of the uppers they hardly add any weight to the shoe. Heavier and wider footed runners may realize that the uppers are tear easily especially along the reenforcing bands. On’s Clouds are an ultralight and highly cushioned shoe and shoes that the young company is willing to keep developing and not just ride on the laurels of its early success. Lighter runners with narrow to regular feet will love the ride. Heavier, wider-footed runners will notice the cushioning is almost too soft and the uppers too fragile. The casual looking performance shoe is a wonderful addition to On’s collection. 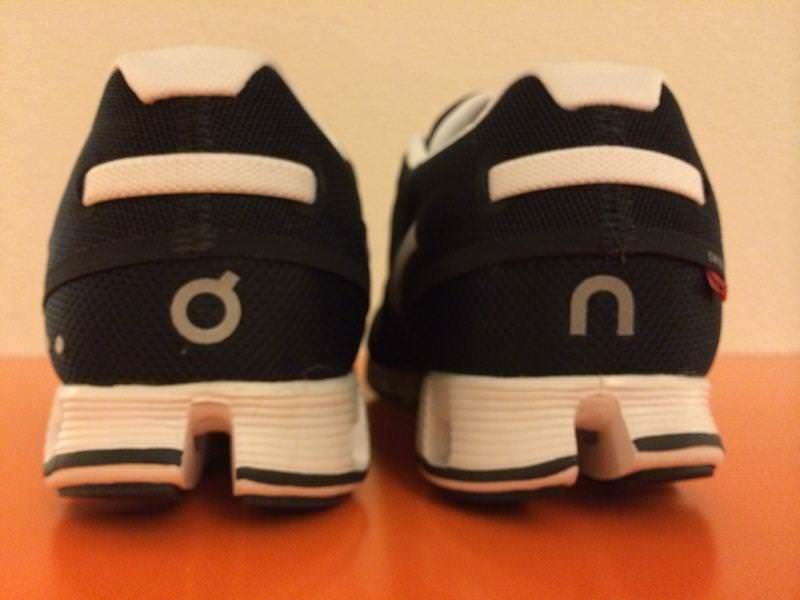 Those looking to get started with Ons and meeting the right profile will love these shoes, for their performance as well as price. Heavier and wider-footed runners are advised to try the Cloudrunners. 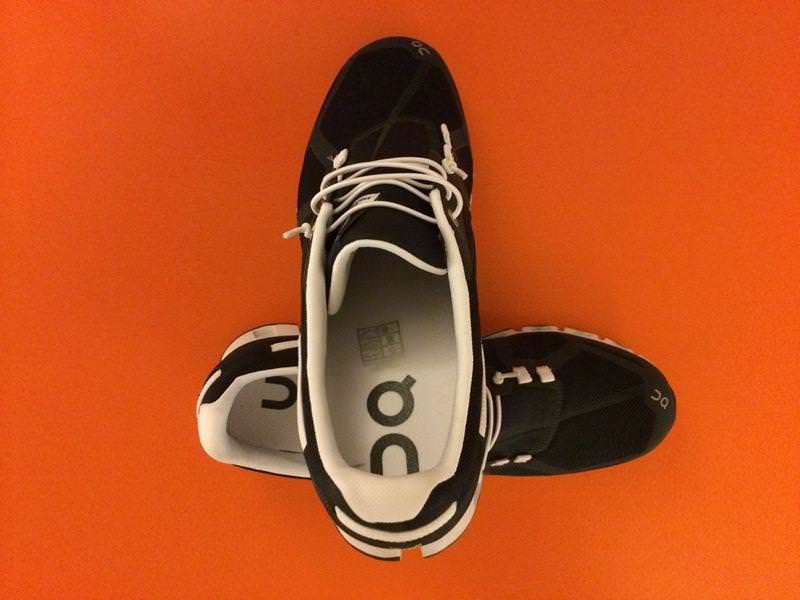 We thank the nice people at On for sending us a pair of Cloud to test. This did not influence the outcome of the review, written after running more than 50 miles in them. Nice job Stephanie on your 16:42..Great 5k. Just curious, can you be a little more specific on why they are a ‘great shoe’ other than your awesome time. Maybe I missed something. 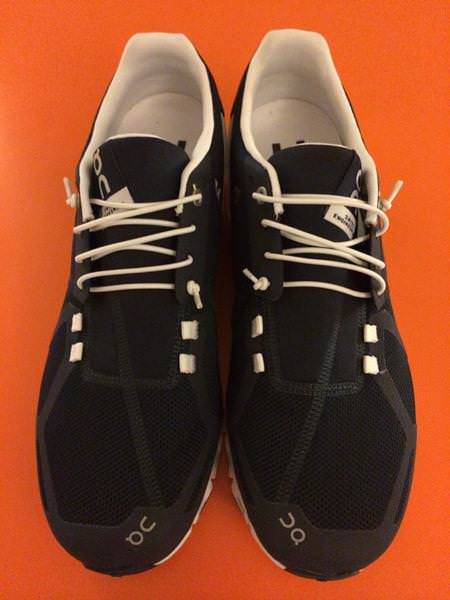 I ran a 16:42 5k in these, so yes, Peter Ney, they are running shoes, and great ones! You’re kidding right? These are not running shoes. Don’t get me wrong I rotate the cloudurfers and cloud racers into my line up. But, there is no way you can classify these as a running shoe. It’s a loafer. I had a pair sent to me and the Swiss team told me that it would be a great high performance shoe and the team in Oregon laughed at these claims. The lacing system is ridiculous and doesn’t work. The shoe itself is nice looking with it’s little pretty rivets and lace that wraps around the heel cup. 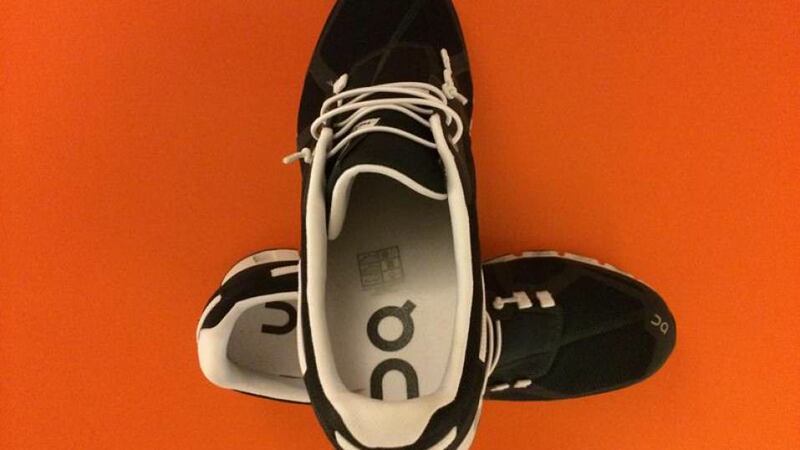 But, there is nothing to this shoe that gives the impression of ‘running.’ I’ve played golf in it. Different pods, no design platform structure, no real intent on pronation/minimal/supination design. This shoe is an absolute joke. You know when you see this shoe pop up in Macy’s that we’ve got a problem. I couldn’t run a mile in this shoe. Overly flexible, heavy and it just has nothing to it to merit into the running category. Don’t be fooled by any claims to this particular shoe, it looks nice and that’s about it. Can’t believe you called this a running shoe. You compared them to the s-labs..Ugh. The shoes look great, but they have no arch support whatsoever. I bought 2 pairs and I am certain that I now have plantar faciitis as a result of this. I had to purchase arch support insoles and this alleviated the issue somewhat. Also in wet weather they squeak because of the gaps in the ‘tread’ – very annoying when you come in out of the wet. There are better shoes on the market. Not worth the cost of adding more arch supports at an extra US$35.